OLD PARKED CARS. 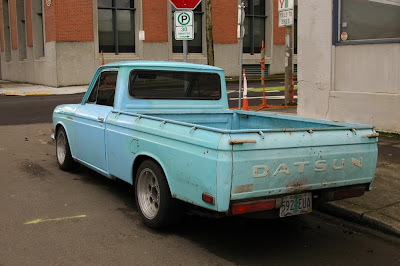 : Two Spotted in 15 Minutes: Sky Blue 1971 Datsun 1600 Pickup #2. 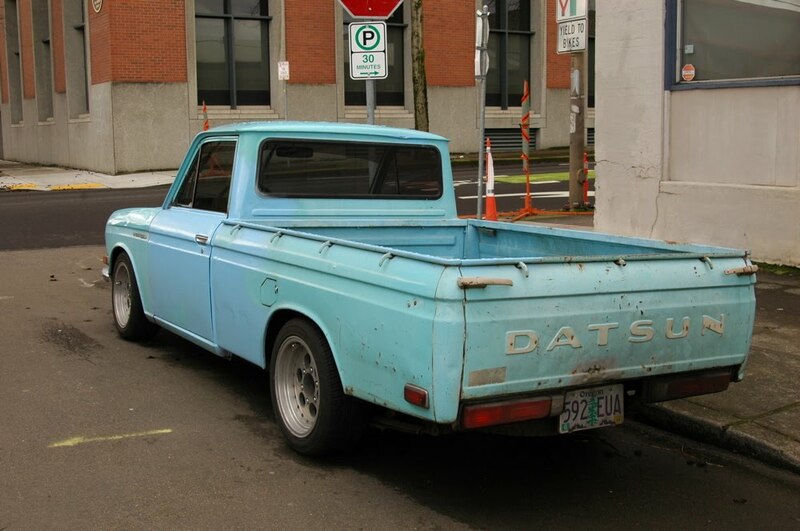 Two Spotted in 15 Minutes: Sky Blue 1971 Datsun 1600 Pickup #2. 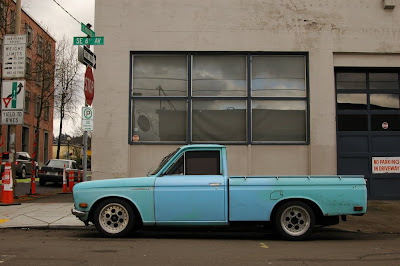 Quite a stance, remarkably tough for a sky blue mini truck. 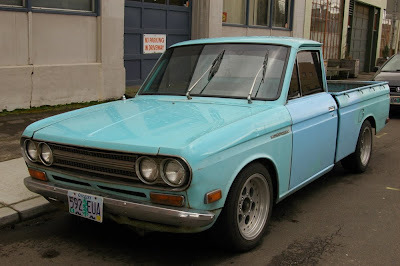 Don't know why you keep calling these 1600s, I've never seen them called anything except Datsun 521 in the states.